No offense to younger siblings, but if you're older sister tells you don't do that it's bad, PAY ATTENTION! Mollie Reagan is on a quest to find her missing sister, Diana, who fell into a bad crowd and called Mollie asking for help before dropping off the edge of the Earth. The last Mollie knew, Diana was hanging out with a biker gang, known as the Kings of Chaos. Now, Mollie is on a crazy and extremely dangerous adventure to find her sister. 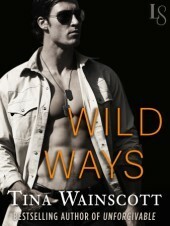 Along the way she meets and recruit Julian Cuevas or more like he recruits himself to help Mollie find her sister. Julian is intrigued by the brave, borderline insane woman on a mission; as a former Navy Seal, he knows all about dangerous missions and the need for backup, so he recruits himself to helping Mollie find her sister. Along the way these two grow really close and aside from stopping the bad guys, they find a happy ending. The story is action packed and a real page turner, it's like watching an episode of Sons of Anarchy; super addictive.